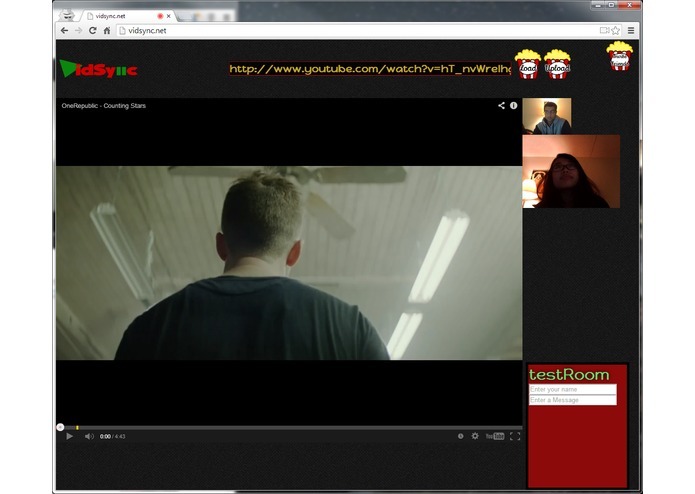 VidSync is a tool that allows multiple people synchronously view a video. 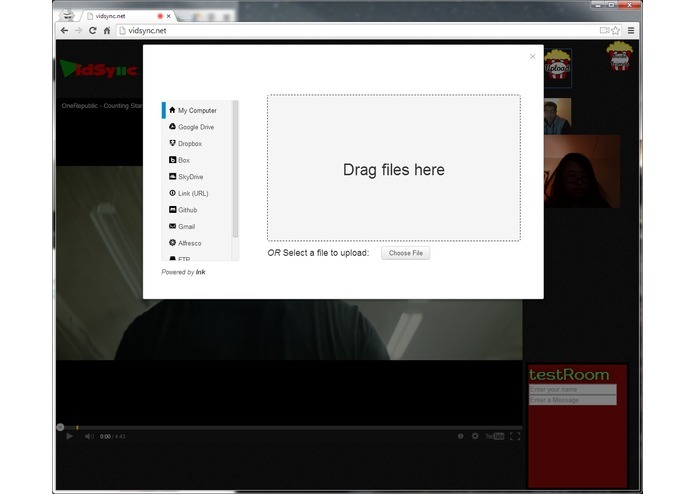 Users can create and enter rooms, and load in any mp4 or youtube video (either by pasting a link, or uploading). Then, pausing, playing, or seeking the video will result in a corresponding action happening on screens in the group. Users can also see each other via webcam and chat. Finally, users can invite their friends to their room via facebook. To demo, open the site in 2 different browser sessions (regular chrome, and chrome icognito works well). 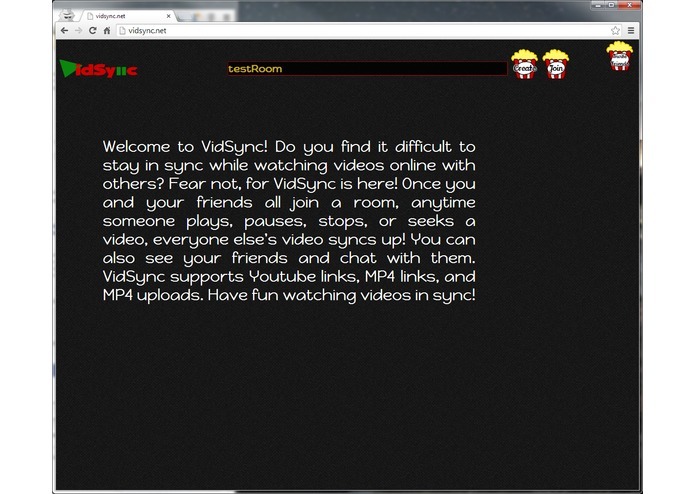 Enter a name for your room - click create in one browser, and join in the other. 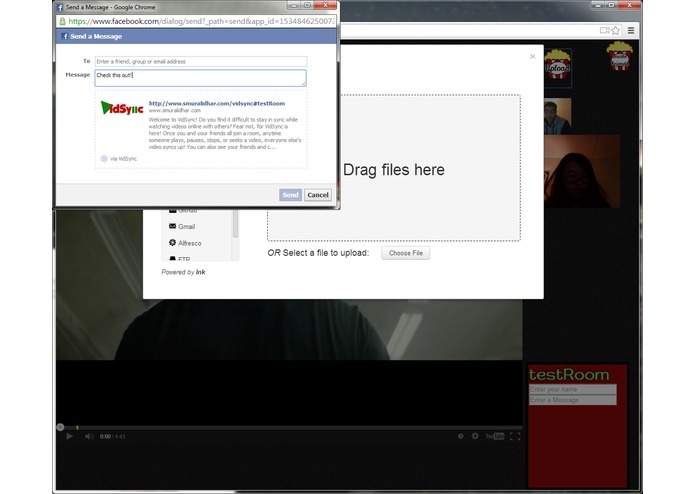 Finally, paste a youtube or mp4 link, and interact with the video. You will notice that both video screens remain synchronized.